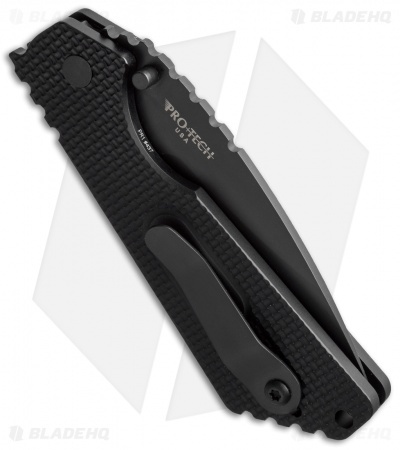 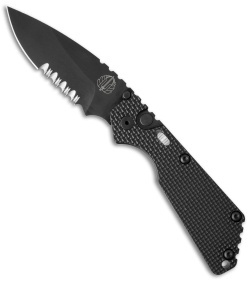 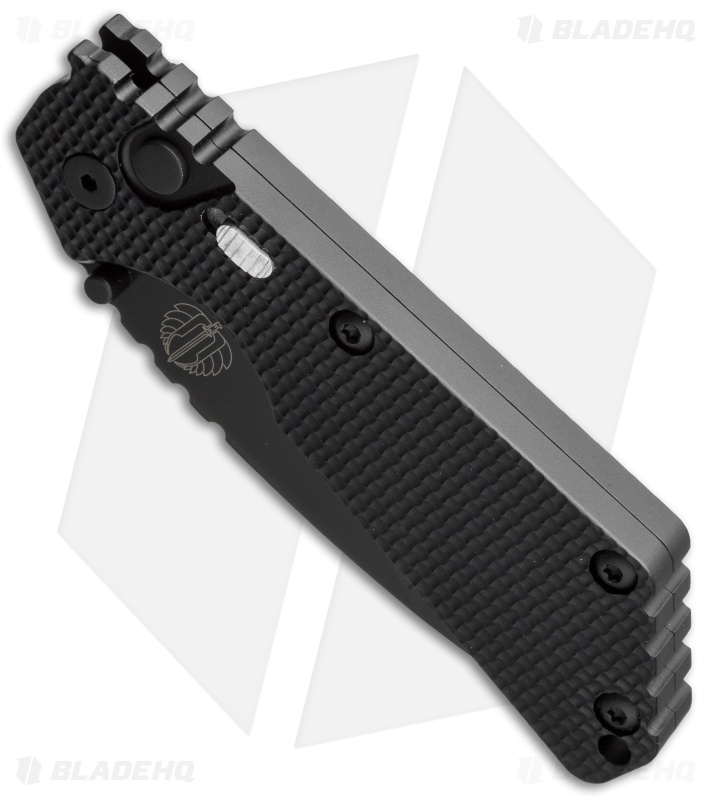 This version of the Protech SnG knife has a knurl pattern milled 7075 aluminum handle with a black hard coat anodized finish and front-mounted safety. The blade is black coated, partially serrated 154-CM stainless steel, operable using the firing button. And, keeping true to the original, the SnG Auto is outfitted with a Strider titanium pocket clip.